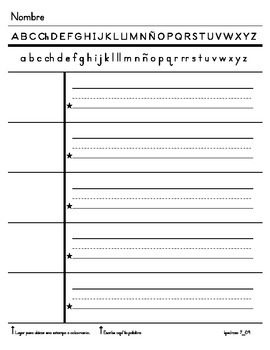 These Spanish and English word writing organizer pages have upper and lower case letters in a line across the top of the page, giving beginning writers support at a glance. 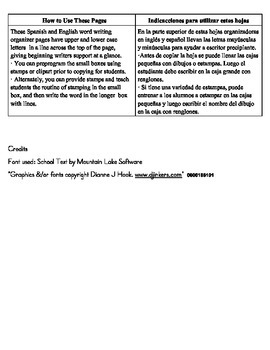 · You can preprogram the small boxes using stamps or clipart prior to copying for students. · Alternately, you can provide stamps and teach students the routine of stamping in the small box, and then write the word in the longer box with lines.